From left: Drs. navdeep Tangri, Claudio Rigatto and Sean Armstrong with patient Cathy Woods. Cathy Woods still remembers the shock of learning she had kidney disease. She went for her regular checkup with her family doctor and was told that the protein in her urine - an indicator of kidney trouble - was severely elevated. "I wasn't symptomatic of kidney disease," she says. "I wasn't fatigued and my legs weren't swelling. Was it because I'm Indigenous?" This was in 2010 when she was in her fifties. She was referred to kidney specialist Dr. Paul Komenda of the Manitoba Renal Program at Seven Oaks General Hospital. Eventually, Woods was diagnosed with a form of kidney disease called membranous nephropathy. "I was stressed to the max," she says of her visit. "He asked me how I felt and I said I felt fine. Then he asked me again how I felt. I said, 'I'm mad. I spent my whole life taking care of myself. I go for regular check-ups, I don't drink or smoke and I walk every day.' He said, 'I'd be mad, too.'" Fortunately, Woods says, Komenda was also able to give her some encouraging words. "He said, 'You know what? You look too healthy to be sick. I'm going to fix you up and get you out of here,'" she recalls. She eventually agreed to an aggressive treatment program, one of the options Komenda proposed, and she followed it to a T. She also used traditional teas and medicines. Within two years, her urine protein had dropped to normal. Another year of monitoring followed before Komenda declared her disease-free, but she remains at risk of a recurrence. She is tested twice a year and sees Komenda once a year. Woods's story is not uncommon. Kidney disease has emerged as a major health issue in Manitoba over the years, affecting about 15 per cent of people living in the province. The rate is even higher among Indigenous people, affecting as much as 30 per cent of the population. In some cases, the condition can be managed or even cured with medication and lifestyle changes. But in others, patients may require dialysis - a life-saving treatment that replaces the kidneys' function of filtering impurities from your blood. But that can be very expensive. The average cost of hospital-based hemodialysis is about $50,000 to $60,000 per patient per year in Manitoba, but it can be as much as $200,000 to $300,000 per patient for residents of remote Indigenous communities, when factors like frequent air transportation are factored in. Manitoba's total annual budget for dialysis treatment is about $90 million. Given these facts, it is becoming increasingly clear that efforts to prevent kidney failure are not just critical for the individual patient; they are also important in terms of trying to contain Manitoba's health-care costs. That's where the Chronic Disease Innovation Centre (CDIC) comes in. "There's not a single beaker or molecule or cell line in here." 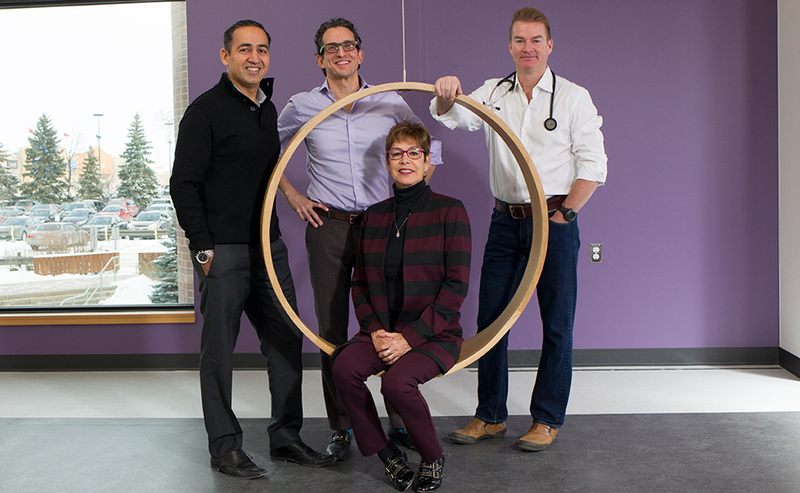 Launched in 2011, the CDIC is led by three kidney specialists (nephrologists) - Drs. Navdeep Tangri, Claudio Rigatto and Komenda. The team also includes support from a project manager and a health economist, as well as several statisticians, research co-ordinators and graduate students. The CDIC - which recently moved into new premises at Seven Oaks General Hospital, thanks to a $1.2 million fundraising drive by the hospital's foundation - is a different kind of cat in the field of medical research. As the name suggests, it is dedicated to looking for ways to better treat patients with chronic health issues, especially diabetes and kidney disease, but not in the way you might expect. "There's not a single beaker or molecule or cell line in here," says Tangri, in reference to the CDIC's workspace. That's because the CDIC's work is in numbers, not laboratories. Its researchers spend much of their time poring over the anonymized data of as many as 700,000 Manitobans compiled by the Manitoba Centre for Health Policy, which began digitizing records about 15 years ago. The goal is to mine these lab tests, physician billings, hospitalizations, and medications for information that may lead to better and more cost-effective medical treatments for chronic diseases. "It's data science," says Tangri, who is the Scientific Director at the CDIC and an associate professor in the division of nephrology in the Departments of Medicine and Community Health Sciences at the University of Manitoba. "We're looking at different models of funding care, and trying to determine the best models for how we deliver care for chronic disease in our province." 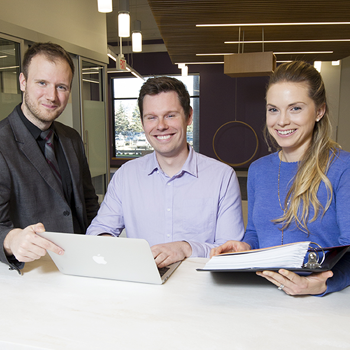 The CDIC office, says Tom Ferguson, the centre's in-house economist, "looks more like a finance office or something out of Silicon Valley." Despite its relatively short history, the group has already produced some impressive results. Tangri's work offers a prime example. Among other things, he has developed a formula for predicting kidney failure by tracking the data from 8,000 patients with kidney disease. In developing the equation, Tangri analyzed cases of kidney disease to identify which ones progressed to the end-stage (i.e., dialysis) and which ones didn't. He started with 60 variables, and whittled the list down to eight numbers, with four key ones: age, gender, level of kidney function, and urine protein level. The result is an online algorithm called the Kidney Failure Risk Equation (KFRE), which is now used by physicians not just in Canada but in 30 other countries. The KFRE means that instead of sending every patient with kidney disease to a specialist, only those at high risk need to go, and the rest can be treated by family physicians. "We're looking at different economic models of funding care, and trying to determine the best models for how we deliver care for chronic disease in our province." That represents a significant reduction in people seeing a specialist, given only three per cent of an estimated 3.1 million people with kidney disease will have kidney failure. In Manitoba, for example, use of the KFRE has cut the number of patient visits to kidney specialists by 25 per cent. As a result, wait times to see kidney specialists at Seven Oaks and St. Boniface Hospital have dropped from 230 days in 2011, to 58 days in 2013, according to a study published last August in the Canadian Journal of Kidney Health and Disease. The study did not calculate the dollars saved to the health-care system, but officials say the savings are substantial. It also means not inconveniencing and worrying low-risk kidney disease sufferers any more than necessary. But Tangri's work represents just the tip of the iceberg when it comes to the CDIC's potential. Researchers can also mine data to test various theories on treatment. Let's say a family physician sees two diabetes patients during the course of a month who complain of side-effects from a medication. The doctor may conclude the medication is poorly tolerated and stop prescribing it to patients. But the CDIC can access the medical records of 40,000 patients with diabetes. "We may be able to tell you the actual incidence of real side-effects from this medication is extremely low and comparable to other drugs," says Tangri. Rigatto says all that data means CDIC researchers have a wealth of material to work with. "We have a big enough data set over a long enough period that we can really do some innovative stuff with it," he says. "We can connect risk factors very early to downstream complications that have occurred 10, 15, 20 years down the road. We have that long view that we didn't have 10 to 15 years ago because there wasn't enough data in the system," he says. The CDIC doctors also treat patients, of course. Tangri sees patients full-time for 12 weeks of the year; the other 40 weeks he splits between the clinic and research. The other nephrologists devote about 20 weeks exclusively to patients, and split their time between clinical and research work the other 30 weeks. And they also help drive innovation in the delivery of patient care. 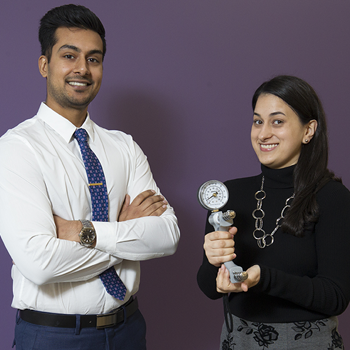 An effort to re-engineer the patient experience at the Manitoba Renal Program at Seven Oaks is a case in point. In the past, a kidney patient may have had to travel to several locations on different dates to get the care they required from a range of providers, including a kidney nurse, a nephrologist, a dietitian, or a pharmacist. That is no longer the case. Working closely with staff at the renal program and a process engineer, CDIC researchers helped develop a more efficient model for clinical care that maximizes the use of physician assistants, nurse educators, social workers, pharmacists and other professionals. Now, instead of sending a patient to different providers on separate dates, his or her needs can be addressed by one visit to the renal program, which can include education and counselling. It costs about $5 million to build a hemodialysis unit in one remote community. It would cost the same amount of money to screen the entire Indigenous population of Manitoba. Another important innovation in care involves the work of Dr. Sean Armstrong, who works closely with the CDIC team to translate research into patient care and has emerged as a world leader in providing education and training in bedside catheter insertion. Armstrong has performed hundreds of these procedures at Seven Oaks Hospital, and is now training the next generation of interventional nephrologists in Canada and other countries. The bedside procedure means patients don't have to wait for surgery to have their catheter inserted to create an access point to the abdominal cavity for dialysis. This paves the way for the patient to begin peritoneal dialysis at home almost immediately and has resulted in an expansion of home dialysis. This helps save money by reducing the average in-hospital dialysis cost of $60,000 to $70,000 per year, per patient to about $40,000 to $45,000 per year for a home dialysis patient. In addition to being less expensive than hospital-based dialysis, home dialysis also offers many benefits to patients, such as not having to travel to and from the dialysis unit several times a week, having more independence in their care and schedule, and fewer restrictions on what they can eat and drink. In some cases, it may also reduce the amount of medications a patient needs. Reid Whitlock and Michelle Di Nella. As of September 2017, Manitoba had 1,614 dialysis patients, including 372, or 23 per cent, who were receiving it at home. Rigatto says a lot of CDIC's research is aimed at trying to understand what the barriers are to getting people dialysis at home versus in hospital. "For example, what if a patient could do home dialysis if he or she had an assistant? We say, 'How much might that assistant cost, and how many patients might be suitable to transfer from in-hospital dialysis? What would the impact be to patient health, and what impact would it have to the cost of the system?'" The CDIC is also interested in the benefits of screening and point-of-care technology to help identify cases of diabetes and kidney disease as soon as possible, says Rigatto, who is also Academic Director at CDIC and an associate professor at the University of Manitoba's Rady Faculty of Health Sciences. For example, Rigatto is collaborating with engineering colleagues at the U of M to develop a "pocket-size hand-held system" for early and better detection of kidney disease. Because there are no symptoms during the early stages of the disease, it must be diagnosed through a lab test. Having a system that is portable, accessible, and inexpensive would increase access to kidney screening, especially in remote, high-risk communities with limited access to health services. Komenda, meanwhile, is working in partnership with the First Nations Health and Social Secretariat of Manitoba (FNHSSM) on research into the implementation of large-scale kidney screening and care for those living in remote Indigenous communities. As he explains, the high rate of kidney disease among Indigenous people is a critical issue. The Indigenous population is younger than the overall population and has much higher rates of kidney disease and failure for a variety of reasons, including poverty and reduced access to primary care. Komenda estimates the number of patients on dialysis in Manitoba could double in the next decade if these factors are not addressed. "The combination of diabetes and kidney disease is Manitoba's plight, and that's why the centre exists, to really target those types of diseases." As a result, he is advocating with his Indigenous partners for a bold initiative to screen the entire Indigenous population. While screening the entire general population would not be helpful, it does make sense to screen at-risk populations in a more targeted effort, he says. To support his position, Komenda points out that placing a dialysis unit in just one community costs $5 million for equipment and installation, not including the massive operating costs. For that same $5 million, virtually the entire indigenous population of Manitoba could be screened, says Komenda, who is also Medical Director of the Home Hemodialysis Program, Director of Research at Seven Oaks, and an associate professor at the Rady Faculty of Health Sciences at the University of Manitoba. The CDIC has some experience with screening programs. It is currently involved in a project that started in 2013 with the screening of residents living in 11 Indigenous communities in Manitoba, mostly in the Brandon and Dauphin area and Island Lake. (The CDIC partnered with the Diabetes Integration Project, a screening program under FNHSSM, and with co-investigators Dr. Barry Lavallee and Caroline Chartrand.) It plans to add another 20 more communities across Western Canada within the next couple of years. As it turns out, Komenda's patient, Cathy Woods, is also a co-chair of a national patient council directing kidney research like that at the CDIC. The patient council is made up of about 30 kidney disease patients across the country, part of the Can-SOLVE Chronic Kidney Disease Network, a national project to find solutions to kidney disease. The patient council helps prioritize research not only to reduce unnecessary treatment and costs but also to improve the lives of people with kidney disease. The patient council that Woods sits on is advising on which First Nations and northern communities should be screened in Western Canada. The project team will then test results against similar communities not screened. Komenda is confident the project will show that screening produces superior results for both patients and the health-care budget. He hopes all Indigenous people in Western Canada will have regular screening in the not too distant future. If that is the case, it is easy to see how the work being done at the CDIC could support such an effort. The hand-held device for kidney disease detection that Rigatto is developing will expedite the screening, and the Kidney Failure Risk Equation developed by Tangri will prioritize who needs immediate help to prevent kidney failure. It is also easy to see the impact CDIC research could have on health-care funding. Dialysis currently absorbs almost all health-care dollars for kidney disease, with little left for early-stage measures to prevent kidney failure, says Rigatto. That's understandable since kidney failure is a life and death situation. But what if the CDIC can reduce the number of patients who get to dialysis? "We have this mismatch in our health system where we spend the majority of our health dollars and resources to treat very expensive complications in the late stages of the chronic disease journey, and as a result, we don't have resources left over to deal with upstream prevention and earlier manifestations of chronic disease," says Rigatto. He believes there needs to be a better balance. "We want to shift that paradigm to early detection and prevention of these complications, so our research is all dedicated to that." After all, says Tangri, diabetes, kidney disease and obesity are epidemics of the western world in the 21st century. "They are the things that are finally putting a cap on life expectancy gains," he says. "Life expectancy has gone up literally every year the last 100 years and because of obesity it's plateauing. Diabetes is accelerating everywhere, and then kidney disease becomes more prominent. The combination of diabetes and kidney disease is Manitoba's plight, and that's why the centre exists, to really target those types of diseases," says Tangri. "That's where we'll have the most impact in our local community, and our local health-care system." Bill Redekop is a Winnipeg writer. 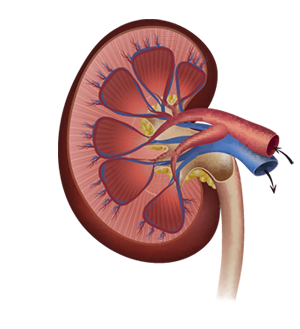 Chronic kidney disease is a slow-developing, potentially fatal disease. Kidneys may fail to various degrees and for various reasons, but with medical management, and proper self-care, many people can live relatively healthy, long lives. As kidneys begin to fail (a condition known as kidney or renal failure or chronic kidney disease), medical management, including monitoring, medication and diet, is used to prolong or improve the kidney function that still exists. Once kidneys lose 90 to 95 per cent of their function, a form of renal replacement therapy, like hemodialysis, peritoneal dialysis or a kidney transplant, is required. 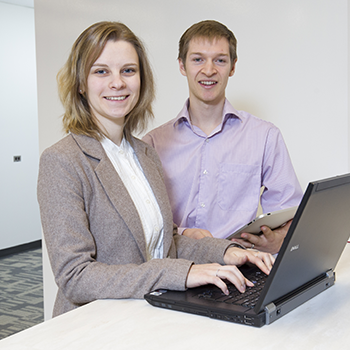 Researchers at the Seven Oaks Hospital Chronic Disease Innovation Centre are affiliated with the University of Manitoba; however, the CDIC is governed by a volunteer board appointed by Seven Oaks General Hospital Foundation. It is integrated with the operation of Seven Oaks Hospital and the Wellness Institute but as an independent non-profit organization. The entire cost of developing the new research centre was funded by the Seven Oaks General Hospital Foundation, with the support of donors in the community.